Open House is a free, one-day event held by a real estate agent to show a listed residential property to interested buyers. It is also a time consuming process that includes marketing, dealing with people in person, and the follow-up drudgery of email reminders and entering clients into the database for future sales possibility. 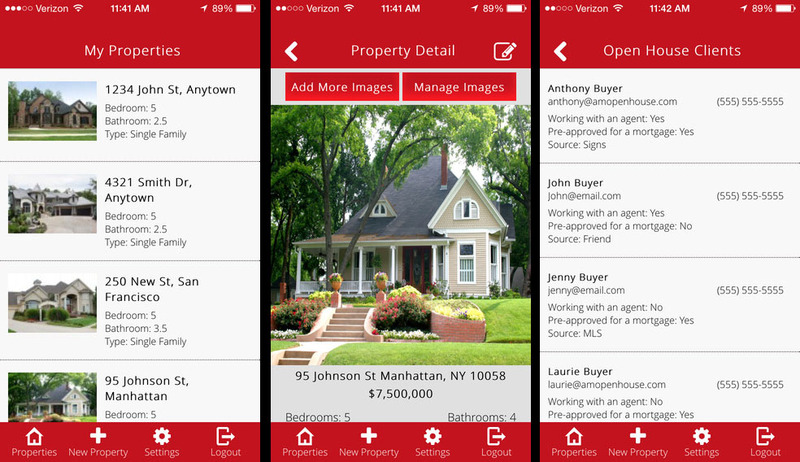 AM Open House is a suite of mobile applications and management platform designed to make the Open House experience more efficient for agents and buyers. AM Open House App for Agents. It is different from the app for buyers. Anthony Mann, CEO and Founder of AM Open House, has been in real estate for nearly a decade. During his tenure as an agent, he sold more than 250 REO (Real Estate Owned) and short sale properties in Long Island, NY. He was able to get into a niche field within the industry, where there are less than 15 active REO agents and was the youngest by nearly 20 years. Anthony has seen many markets and new technology emerge without any real benefit to agents, so he decided to make a change in the industry with technology that the agents actually want and can benefit from. He launched AM Open House in July of 2014 and even though he wasn’t fluent in coding, he managed to build the apps and now has a team of dedicated developers improving and adding new features. The service targets real estate facilitators (brokers, agents, mortgage professionals) and buyers with different mobile apps. The AM Open House app for agents can be customized for the brokerage firms with their logo and color scheme, and can be linked to their preferred CRM (Customer Relationship Management) service. Agents can sync new leads and updates to their brokerage and also send personalized emails to buyers that have attended the open house with contact information, Single Property website link, Walk Score, school and neighborhood information. A mortgage professional can receive direct access to Open House leads in the system by sponsoring an agent. Whereas, the app for buyers allows them to do a full-fledged property search, save favorites, and signing in and out of Open Houses. 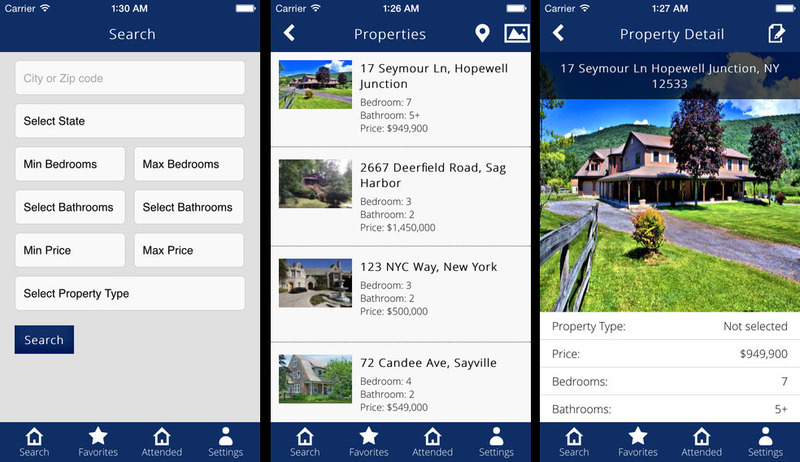 AM Open House app for Buyers has a different interface and makes it easier for buyers to locate new properties. There is potential for over 1,000,000 agents in the US alone to download the app. In the future, the company plans to have more pertinent information based on country of download to boost their global ambitions. The app is free for agents and users but they charge mortgage professionals to sponsor an agent from the website. The mortgage professionals receive their own login credentials to the AM Open House website which allows them to see agents and their leads in real time. An agent can choose or change their mortgage professional at any time as well. Head over to their website and give their apps a try!